If you are looking for an all-in-one camper, the Minnie Winnie Class C motorhome could be a perfect fit for you! 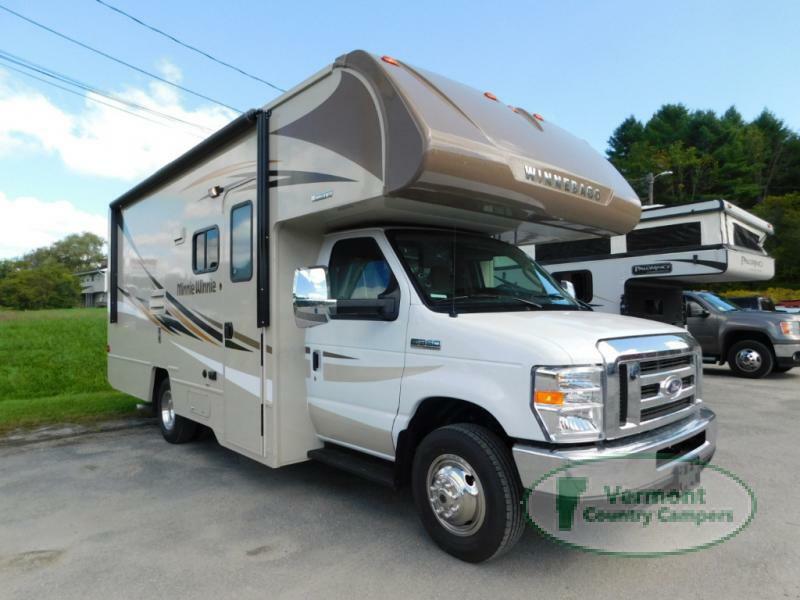 This beautiful RV can sleep up to 5 comfortably and has every on the road luxury you need to spend some quality time with friends and family on the open road. Let’s take a look at the Minnie Winnie Class C motorhome review. 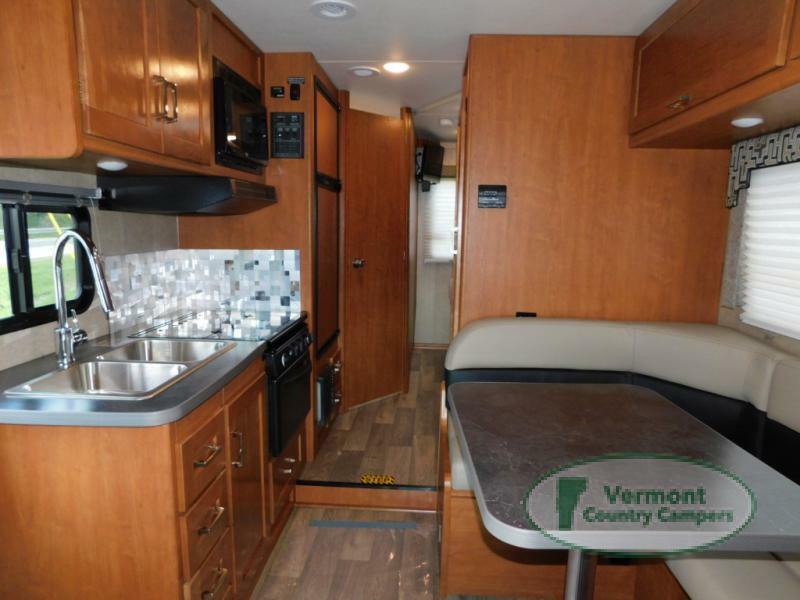 Explore the Minnie Winnie Class C motorhome. First let’s talk about the important stuff. What gets you from A to B? The Minnie Winnie is well equipped with a Ford E350 or a Ford E450 chassis. There is also a 6.8L SEFI Triton V10 engine, TorqShift 6-speed automatic transmission with overdrive and 4-wheel ABS. And if you are more worried about your comfort level as the passenger, don’t worry. The seats in the cab are as comfy as your favorite recliner at home. The cab seats armrests, fixed lumbar support, and multi-adjustable slide/recline. Safety is always first with 3-point seat belts and driver and passenger airbags. Check out the perfect place to chill and grab some grub. The living area in the Minnie Winnie Class C motorhome really packs a punch. Everything you need to have an adventure away from home fits in this neat camper package. The kitchen area has a double sink, nice size refrigerator, plenty of cabinet space, cook top with oven and a microwave. 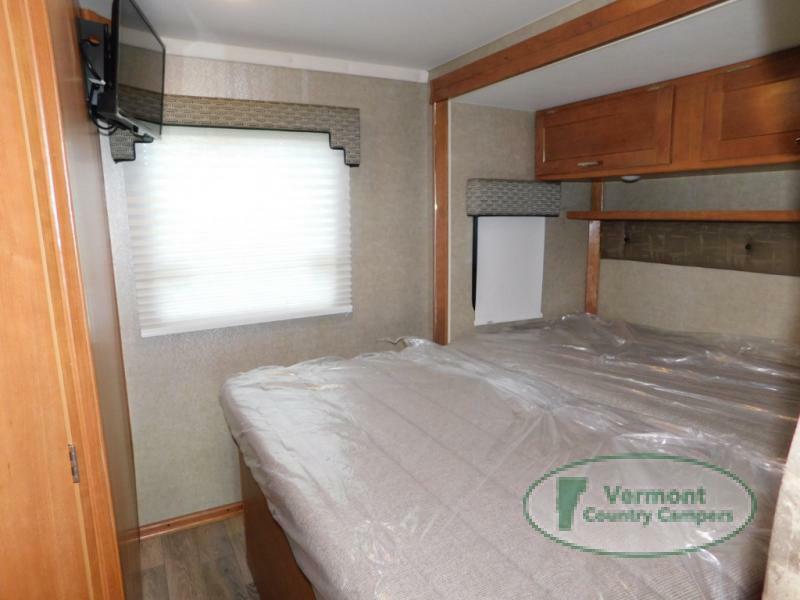 There is a comfy u-shaped dinette across from the kitchen area perfect for those yummy meals you whip up in the kitchen or a family game night. Get a great night’s rest in this back bedroom. Where does everyone sleep? After a long day of fun and adventures, your family needs a comfortable place to get a good night’s rest. The previously mentioned u-shaped dinette does double duty as a bed. There is bunk above the cab. There is a spacious rear master bedroom with a queen size bed. The slide in the bedroom adds extra space. The bathroom has all the essentials including and shower, sink and toilet. All in all, the Minnie Winnie Class C motorhome is a perfect RV to hit the road in when you want to have everything all in one vehicle. You’ll be comfy and have easy access to snack and beverages on the road. Contact us if you have any questions about any aspect of the Minnie Winnie Class C Motorhome review.